Superdry men’s padded Elite SD-Windcheater. Part of the iconic wind family, this jacket is perfect for unpredictable weather and ultimate comfort. Featuring padding throughout, an adjustable hood, four front pockets and one internal zip fastened pocket. 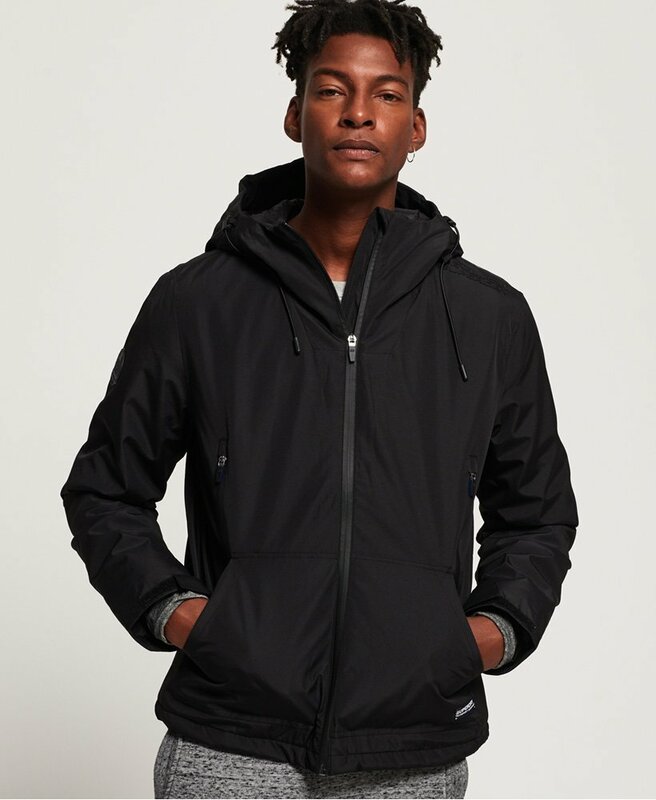 This jacket also features double-layered cuffs; the internal layer has thumbholes, while the external layer is adjustable with a hook and loop fastening. The padded Elite SD-Windcheater is finished with rubberised Superdry logos on the shoulder and back, and logo badges on the sleeve and pocket. This jacket goes perfectly with jeans and your favourite t-shirt.